Keratoconnus is a condition of the eye in which the normally round cornea becomes thin and develops a cone-like bulge. What is the procedure for Intacs ? Intacs is a very less invasive procedure. The procedure takes around 20-25 minutes approximately. During the procedure numbing drops are added in the eyes to numb the eyes to prevent blinking. A single small cut is made on the surface of the cornea. The eye is stabilized with the centering guide to ensure proper alignment of the INTACS inserts. During this time the inner layers of the cornea are gently separated by laser in a narrow circular area to allow for Intacs placement. The INTACS are gently placed in the pocket created by the laser. After the second INTACS is placed, the small opening in the cornea is closed with a single suture. Thus the procedure is completed. Follow up visits are advised to monitor the healing process and evaluate the benefits of the procedure. Even after a successful procedure, glasses or contact lenses may be required to provide a good vision and correct any astigmatism. In the follow up visits artificial tear drops, steroids and antibiotics are advised to avoid infection and inflammation in the eye. The suture is removed after one month. What are the advantages of Intacs procedure? 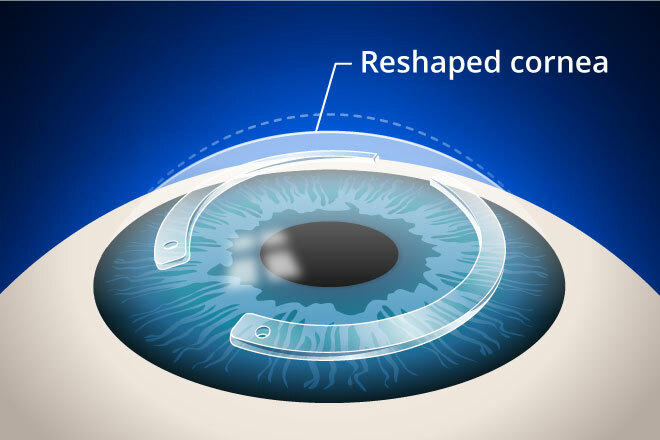 Intacs is a procedure which does not require removal of corneal tissue like that of corneal transplant. 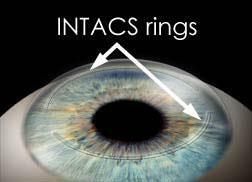 Intacs is a less invasive procedure than a corneal transplant. Intacs in Keratoconus helps to correct quality of vision. They do not require maintenance once they are placed. Intacs are advised to be removed if the prescription changes or removal is needed for any other reasons. The main aim of Intacs in Keratoconus is to make the eye tolerant of wearing the contact lenses and to avoid corneal transplantation. The aim of Intacs varies with severity of problems. 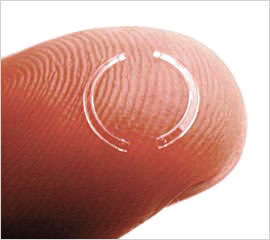 One of the advantage of Intacs is the patient cannot feel that the INTACS is implanted in the eyes. What are the precautions to be taken after Intacs surgery ? Rest is advised for 1-2 days. Avoid eye make-up or cosmetics around the eyes. Avoid swimming, lifting heavy weights, sports for 3 -4 weeks. Immediately consult your eye specialist if you experience pain, redness or any discharge from the eyes. Advanced Eye Hospital and Institute in Navi Mumbai is one of the best eye hospitals in Mumbai, perfectly right for comprehensive eye check-up and the operation theatres here are also state-of-the-art and equipped with the best diagnostic and surgery machines. Personalized care, infection-free modular operation theatres and beautiful ambiance complement the cutting edge eye care offered at AEHI. Besides treating patients from Kharghar, Nerul, Vashi and Panvel, patients from all over western India travel to AEHI for world class eye care management.